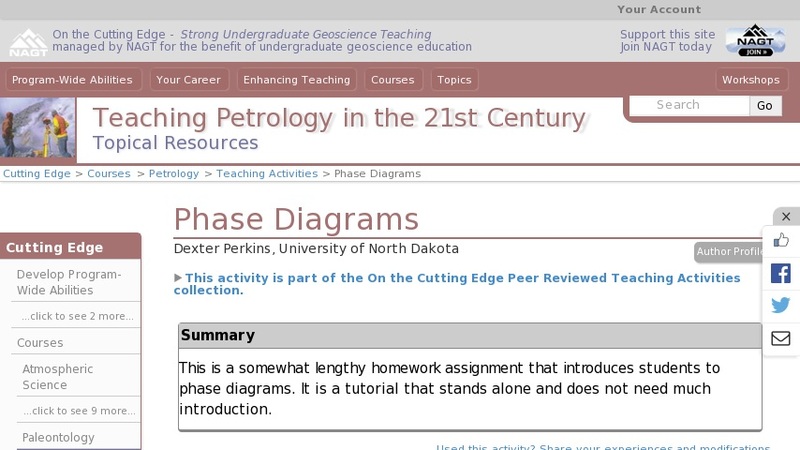 This handout and problem set is a stand alone tutorial that introduces students to the basics of phase diagrams and the phase rule. It is a rather lengthy exercise, suitable as a homework assignment. It can replace lectures and yields superior learning.